Jewish Humor Central: A Joke to Start the Week - "Standish Merriweather III"
A Joke to Start the Week - "Standish Merriweather III"
For the last Monday joke of October, we turn to our old friend and actress Annie Korzen and an old joke from the days when Jews weren't admitted to country clubs. It's another from the Old Jews Telling Jokes series. 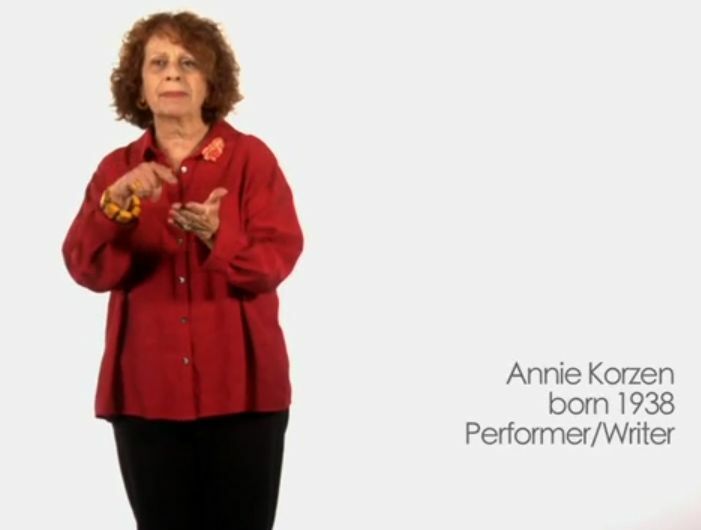 For the last few months, Annie has been performing a one-woman show at The Braid in Santa Monica, California. The show has just been extended to November 19. It's an evening of laughs, tears, music and some gentle prodding by a master storyteller and Moth main stager. Annie Korzen (Seinfeld's Doris Klompus), knows what she wants out of life until life proves her wrong. Please more like this one.